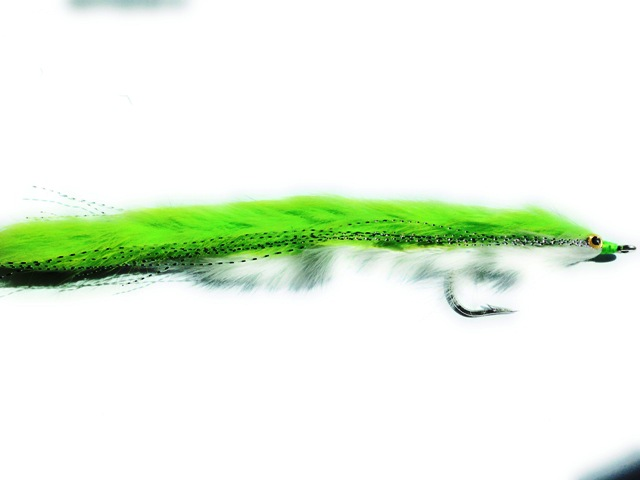 The Double Bunny fly is equally effective in freshwater as it is in saltwater fly fishing. 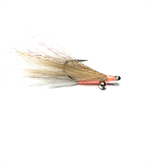 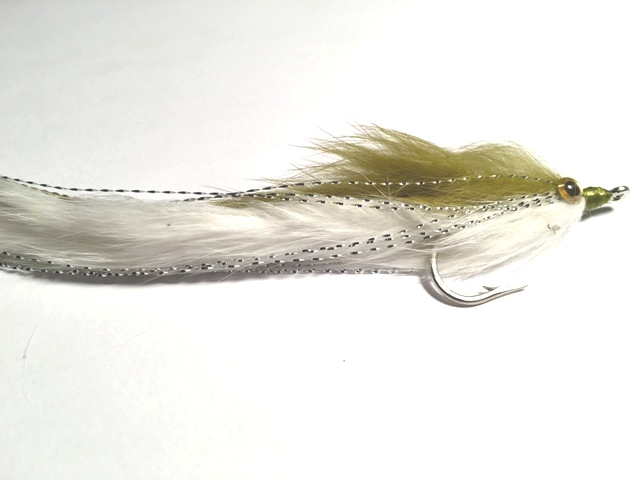 This is one of our best selling freshwater flies for Northern Pike, Musky or other large game fish. 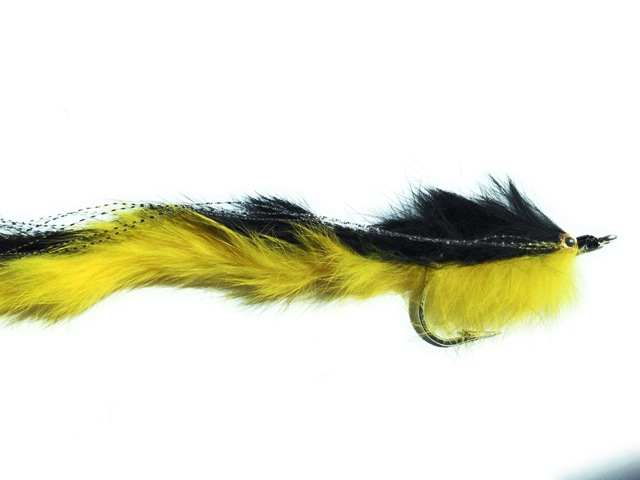 The Olive over Yellow double bunny is a great saltwater fly for Striped Bass fishing. 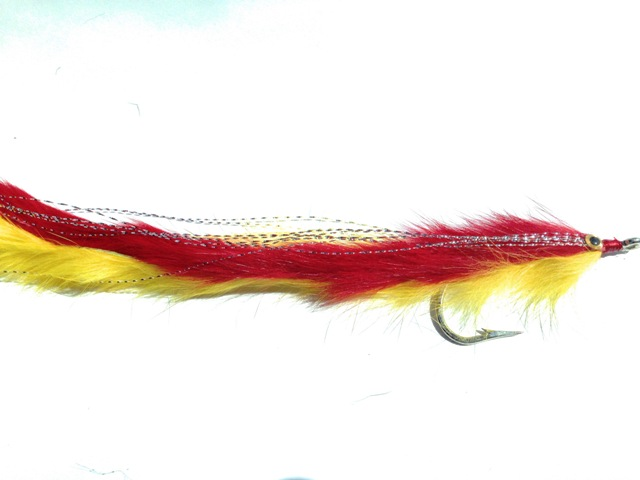 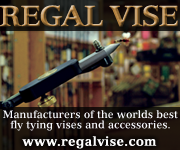 Tied on 1/0 - 6/0 hooks or LARGE 8/0 hooks, the fly length is approximately 6" long (contact us if you want it longer). 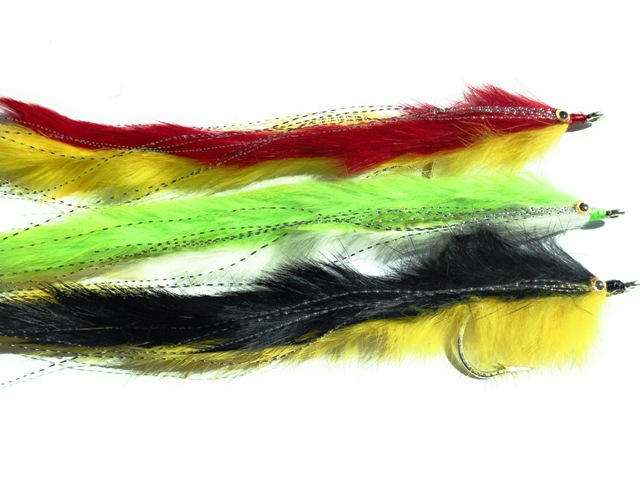 Quality, hand-tied flies on Mustad 2X strong hooks.